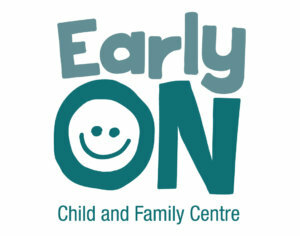 The EarlyOn Child and Family Centre at M’Wikwedong NCRC offers a wide variety of programs and activities for children ages 0-6 years and their parents or caregivers. Many of these are co-led with the Community Action Program for Children (CAP-C), the Canadian Pre/Postnatal Nutrition Program (CPNP), and the Akwe:go youth group. We incorporate traditional Aboriginal teachings into our programs, and we encourage a strong sense of unity by opening our doors to the whole community. We also have a resource library on-site, with children’s books, parent and caregiver books and videos, and Aboriginal resources available for lending. Please feel free to call, e-mail, or drop by for a visit! Participate with children in lots of activities like songs, crafts, story time, active play, science, math and literacy experiences. An Early Years co-coordinator is on site to provide support, links and resources. nutritional lunch every week, which we eat at the end of the program. aspect of a meal together, and the children learn many math and science concepts through this cooking group. traditional and contemporary songs, and learn the initial teachings that are part of a traditional drumming circle.